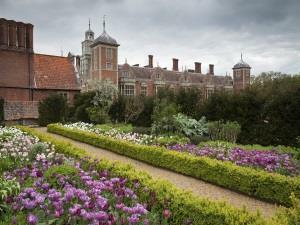 Blickling Estate01263 738030work Historic HouseThe story of the estate unfolds over a thousand years. The landscape with its hedges and narrow tree-lined lanes has changed little over the centuries and is quintessentially Norfolk. Blickling’s owners have used the estate as a place of quiet refuge, while playing their part on the world’s political stage. Philip Kerr, 11th Marquis of Lothian, left this estate to the National Trust in 1940, and he’s vital to its story. Without him, it’s unlikely that Blickling would still be around for you to explore, along with many other places that you love. We invite you to parts of the house he used privately, as well as for entertaining; and photographs, sounds and objects will create a sense of what it would have been like to be a house guest in the period leading up to the Second World War. Don’t miss the RAF Oulton Museum and explore further in to the world of the RAF men and women, based here in the war. Outside, the formal garden is the result of three centuries of inspired planting, and the gently undulating historic parkland is great for exploring. Grab a map of way-marked walks or our cycle trail and head out into the park. Keep your eyes open for lost buildings, stunning views and wildlife who call it home. With three cafes on-site and a pub, there’s plenty of choice as to where to eat. Whether you’re a book worm, plant lover or stamp collector, don’t miss the Blickling shops and gallery selling a variety of local art and crafts. Dogs are welcome in the parkland, however we ask that in areas where there are livestock grazing, and around the lake walk, that all dogs are kept on a lead. Dogs are not able to come in to the house and gardens (with the exception of guide dogs), however, they are welcome in Muddy Boots cafe by the car park, and in the farmyard, by the bookshop, stamp shop, farmyard cafe and plant centre. Civil ceremonies and small parties can be catered for in the Orangery and Doric Temple, but with drinks and canapes afterwards only (no receptions). The story of the estate unfolds over a thousand years. The landscape with its hedges and narrow tree-lined lanes has changed little over the centuries and is quintessentially Norfolk. Group rates are available for 15+ people.